When it comes to road accidents, trucks are one of the major causes and their effects are very severe when compared with auto or motorcycle accidents. 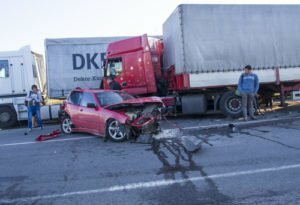 In event of a sad involvement in a truck accident, you can and should seek a legal counsel who totally understands state laws to guide you and give you insightful legal advice to follow. If you are on the lookout for one of such legal companies with a team of well-rounded legal luminaries, then Rawa Law Group is the right call. We are a solid 5-star law firm located in California with some of the most revered and talented personal injury lawyers in the state. Asides being well-read and versed in ethical practices to handle such cases, our truck accident attorneys have love and compassion for the injured. This is why when you decide to hire one of our experienced truck accident attorney, you are treated cautiously, with one-on-one representation. Our processes for handling truck accident cases are ethical and within the confines of the law. We also don’t believe in offering our services to the highest bidder which is why we help the voiceless till they have a voice of their own. Our representation requires zero upfront payment; rather we are only paid after we have won you a decent amount of settlement. If you are in Fontana, CA and need a reliable truck accident attorney, feel free to contact us at the below to schedule a free case evaluation.